The Varsity Fire Station has reached the end of its life cycle after servicing the community for 46 years. 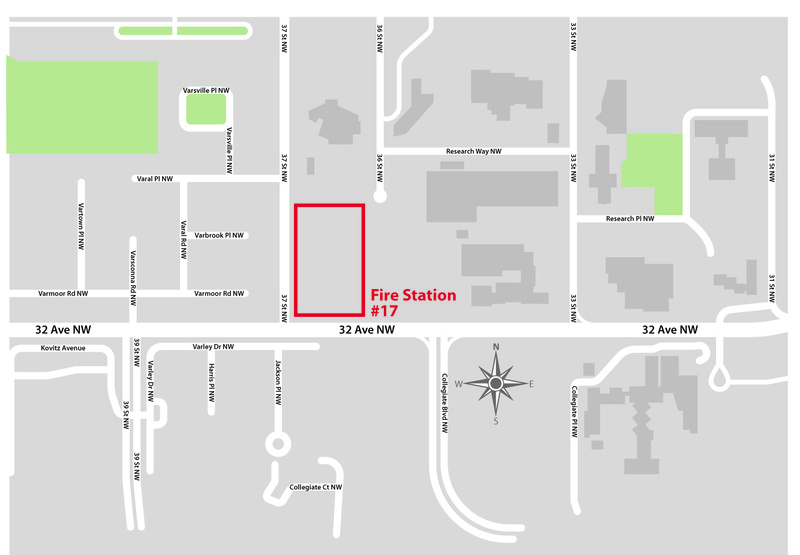 A new fire station is needed to meet the growing needs of the community and surrounding area. The redevelopment of the Fire Station provides the opportunity to better optimize the space as a multi-service facility. In June 2019, The City plans to submit a development permit application and a land use redesignation that will include provision for Calgary Housing and other services to the community. In February 2019, The City was collecting input into the Varsity Multi-Service Redevelopment design options. This feedback opportunity is now closed. A What We Heard Report including both in-person and online feedback will be available here in April 2019. To stay connected to the project sign up for email updates. For updates subscribe to the Varsity Multi-Service Redevelopment email list or visit the project page.